Share it! Science : Thanksgiving Tidbit: Cranberry Science! Thanksgiving is a great time to consider the science of food! What do you know about the bright, tart, cranberries that make up the cranberry sauce that accompanies your turkey? Here is a hint: it doesn't start out as jell that is shaped like a can! 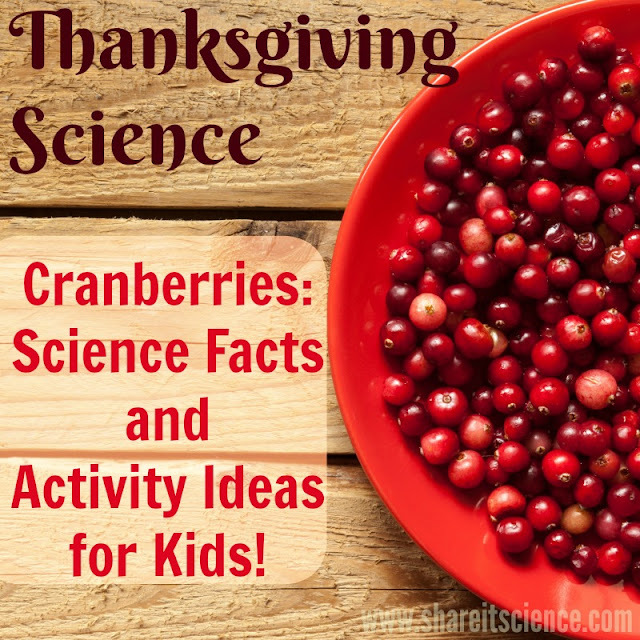 In this post we'll explore some science facts about cranberries that might inspire some scientific thought during your celebratory meal! Cranberries are an interesting fruit. From growing in acidic bogs to their ability to float, there is a lot of fascinating science here! Here are some science tidbits about cranberries and some activity ideas to keep the kiddos busy on Thanksgiving. Cranberries grow in bogs. Bogs are a type of wetland, known for acidic water and thick sphagnum moss. Cranberries need fresh water to grow. To adapt to their acidic surrounding their tough stems and leathery leaves store fresh water. 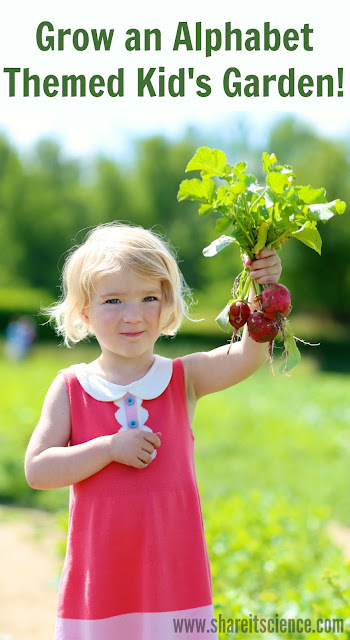 The cranberry has some small thin roots that help to absorb organic nitrogen, which is something they need to survive. If they could not absorb this extra nitrogen it would be difficult for the plant to survive in this sterile soil lacking in nutrients. Cranberry plants are very resilient. One that is undamaged can live practically indefinitely. Some cranberry plants in the bogs of Massachusetts are 150 years old or more! So why is it when we see a commercial for cranberry products are they standing up to their waists in water? Are the cranberry bogs that wet? Some bogs do have fairly deep water. However, the cranberry bogs most likely do not. Due to air pockets inside the cranberry, they have the ability to float. Farmers realized that it was easier to harvest the berries by flooding the bog and scooping them from the water. Do your cranberries float? If you have some fresh berries, try it out! Cut one open. What do you see? You can also use the acidity of a cranberry to do some pretty cool secret spy science. 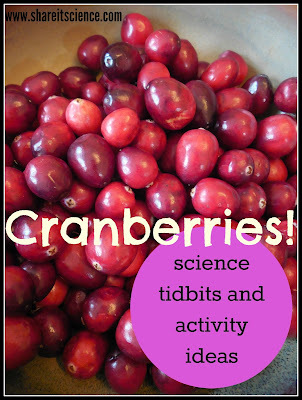 Make some cranberry "Spy Juice" and write some secret messages using the directions for "Spies and CSIs". Check out this fun STEM exploration of those pop-up timers that come in your Thanksgiving turkey. 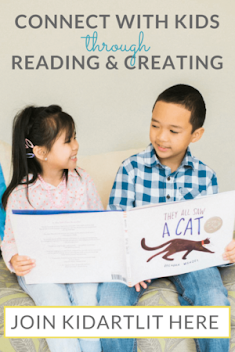 Here is another great Thanksgiving dinner science activity, super easy to set up, my go-to for those crazy school days before Thanksgiving break! You might also want to try some of the experiments here at the Thanksgiving Food Lab. Saturday Science Experiment: Grow an Avocado!